Celebrate Valentine’s Day with a special concert and reception featuring all seating and the Berlin Philharmonic Piano Quartet entirely on the historic State Theatre stage. 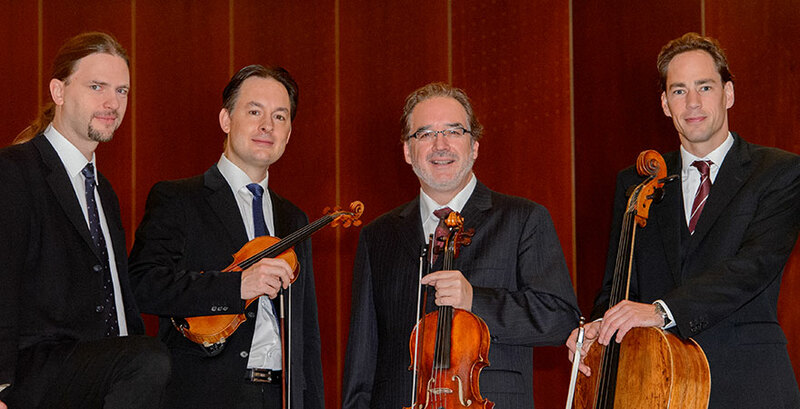 This quartet was created in 1985 by The Berlin Philharmonic and features world-renowned pianist Markus Groh and Berlin Philharmonic musicians Andreas Buschatz on violin, Matthew Hunter on viola, and Knut Weber on cello. Hunter joins us to discuss how his interest in music started with philosophy and how his musical journey took him to playing the viola.